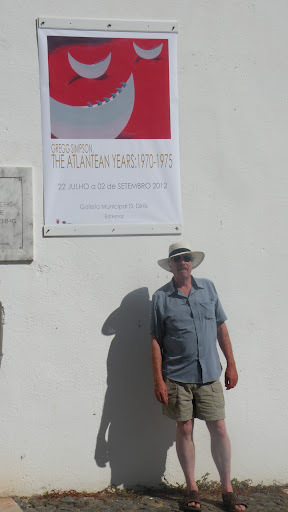 After months of thinking and planning and endless discussions, we were finally in Estremoz looking at Gregg’s exhibition! 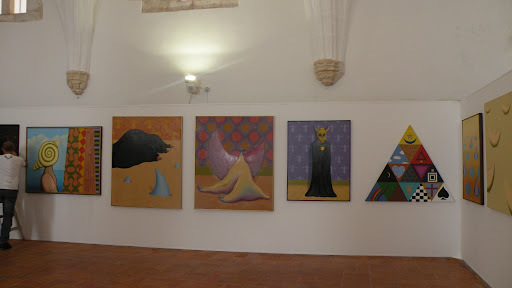 The exhibition was displayed in the Galleria Dom Dinis in the ancient town hall at the top of the hill next to the castle. 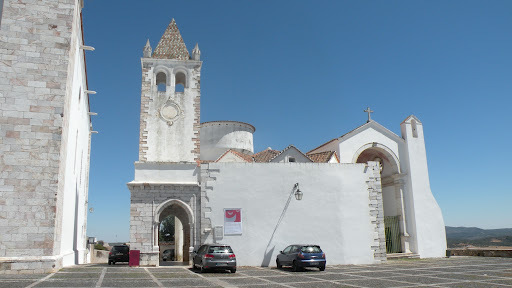 Estremoz is a very lovely, white washed village in the Alentejo. If the village was in Italy or France, it would be mobbed with tourists. But in the sleepy Alentejo, Estremoz is a peaceful, beautiful little town just waiting to be discovered. 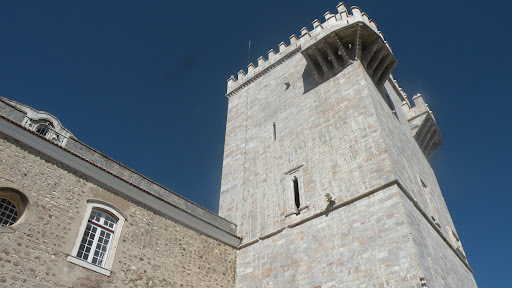 If you’re looking for off the beaten track – Estremoz is the place to go! We met the director of the museum responsible for mounting the exhibition at the gallery and were bowled over by how great the exhibition looked. The exhibition features Gregg’s works from the 1970’s – his “Atlanean” period when he created probably his most classically surreal work. It was great to see all the work assembled in one place again. I hadn’t seen many of the paintings since Gregg’s 20- year retrospective back in 1984 in Sault Ste. Marie just after we had gotten together and were in our first flush of romance. 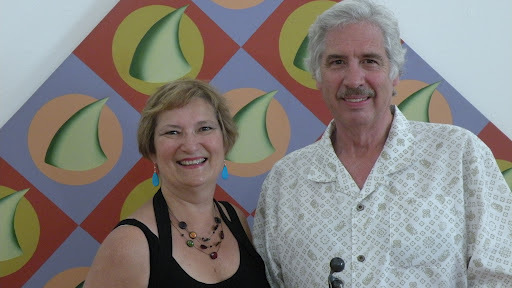 Here are some pictures of the installation at the gallery and of Gregg and the curator. After seeing the exhibition, we had a light lunch at the fabulous Acadeia restaurant–a gourmet delight housed in what was once the town jail. The place has been beautiful restored and the owner has done an incredible job of serving up local food with a gourmet twist. 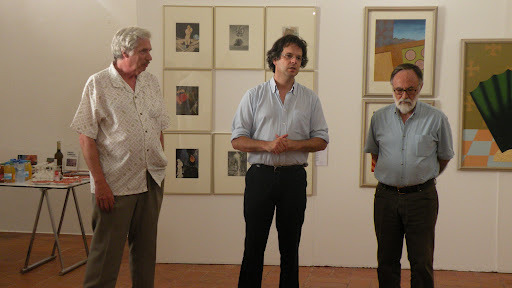 On the day of the opening of the exhibition, the owner of Acadeia hosted Gregg, me, and Hugo–the museum director–to a phenomenal four-course lunch. The lunch lasted over two hours with copious amounts of champagne, wine, and liqueur. I kind of lost track and was glad not to be driving. My appetizer was a cold tomato soup brimming with flavor followed by a traditional lamb stew (melt in the mouth) and then an egg pudding that is traditional to the area. I never get tired of egg custard in all its forms. 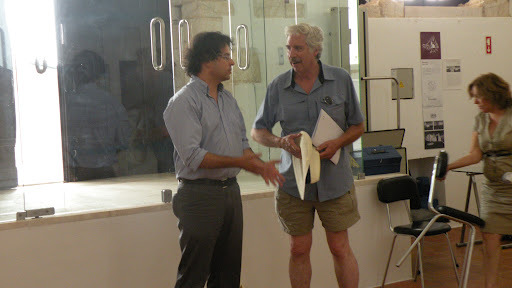 Hugo was a wonderful host and we enjoyed lively discussions about history, politics, and art. After lunch, we retired to our beautiful B & B (see previous post) for a rest and then emerged around 5:30 to return to Estremoz for the opening. As is usual in Europe, the opening was quite formal. Hugo made a speech, the mayor made a speech (both in Portuguese), Gregg made a short speech that Hugo translated, and then we all drank wine and ate slices of sausage and cheese. 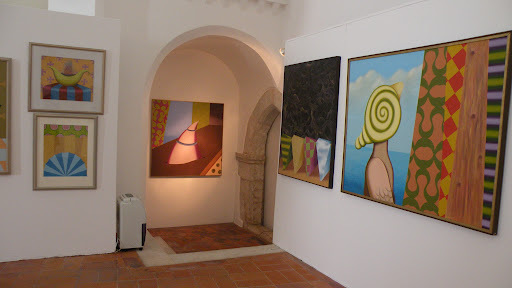 The exhibition in Estremoz runs until September after which we think it will go to a nearby town – Beja. 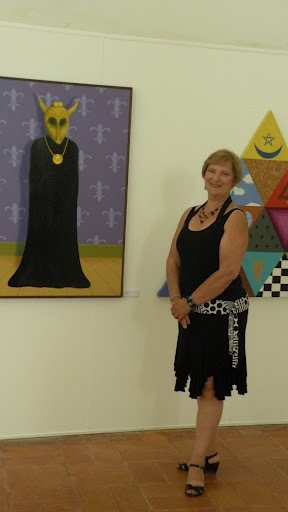 The curator at the municipal gallery there is interested in receiving the exhibition for October which would be good. We want to leave the paintings in Europe for as long as possible. 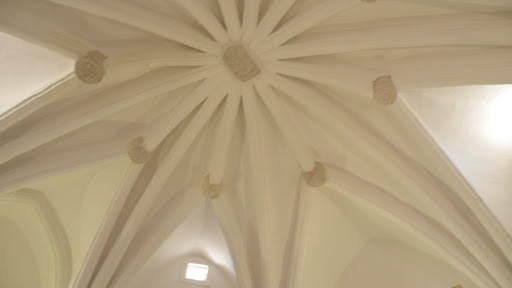 With the exhibition launched and everything looking good, we could really relax and enjoy the rest of our trip. After another day relaxing at Monte da Fornalha, we set off for more Portugal sightseeing.